Life With 4 Boys: Pre-Black Friday Target Deals! - Beauty and The Beast Coupon, Free Tag Reading Books and More! 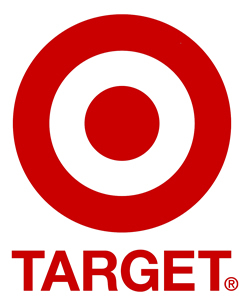 Pre-Black Friday Target Deals! - Beauty and The Beast Coupon, Free Tag Reading Books and More! 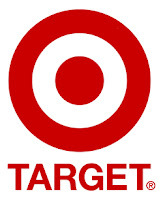 Target has some great pre-Black Friday deals in their ad that goes live tomorrow 11/21 and are valid until 11/24. Some of the deals are better or different than the ones listed in stores on Black Friday, so you may want to start your shopping early. With $15 off of The Beauty and The Beast and Santa Paws Blu-Ray packs and potentially free Leapfrog Tag Books after sale and coupons, you may want to shop early to avoid the crowds! Beauty and The Beast and Santa Paws Blu-Ray packs will be on sale for $24.99 each at Target beginning 11/21. There is a $10 printable Beauty and The Beast coupon and a $10 printable Santa Paws coupon, that brings the price down to $14.99 each. In addition, Target will have a coupon in the ad that comes out tomorrow 11/21 for $5 off any Disney Blu-Ray. Both coupons can be used together for a total price of $9.99 each! Leapfrog Tag Reading Books are on sale for BOGO at Target beginning 11/21 and some are priced $9.99. Buy two books at $9.99 and get one free automatically with the sale. Use a $5 printable Tag Book Coupon on each item and get them both for free! More expensive books can still be purchased for between $1.50 and $3 each with the sale and coupon! Paper Jamz Guitars will be on sale for $18.99 starting 11/21 and there is a $5 Paper Jamz printable Target coupon, making them only $13.99 each! Hot Wheels Criss Cross Crash track set plus a free bonus 10 pack of cars is on sale for $34.99. This is the cheapest price I have seen for the track, let alone for the track plus a 10 pack of cars! $5 off any V-Tech toys $14.99 or higher. $5 off any Lego toy $14.99 or higher. 50% off any Disney Princess Doll, dress or playset. 50% off any My Little Pony, Littlest Pet Shop or Strawberry Shortcake toys. 25% off any two Bakugan Toys. Oooh, great to know thanks! I always love a great deal! Just so you know, I went to my Target and they would not allow me to use the coupons on the free Tag books. They would only apply a coupon to 1 out of the 2. I bought a bunch that were reduced to $9.99 so I still got a good deal. I am so sorry they would not let you use a coupon on each book. I went on Monday and was able to get four books and use a coupon on each. They have signs up at my Target that state one manufactuer and one Target coupon per item so that helps. They are still a good deal at $5 each though. I will be sure to stop by and visit you tonight!